We are giving you the opportunity to help us grow! You can make an impact AND have your name go on our virtual Tree of Love and then onto a physical Tree of Love IN Ethiopia. When we travel over we will paint a tree on the wall of each of our facilities and add your names to it. 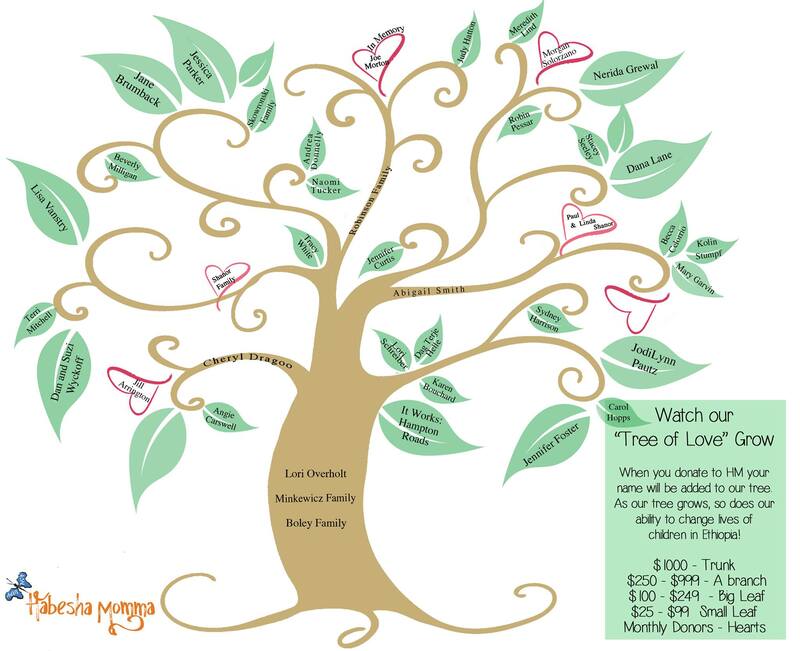 Here’s how it works for each level of giving you will get YOUR name on our tree, starting at the trunk, then branches, then leaves and next hearts for each monthly giver. SO: for every $1000 or more you will get your name ‘carved’ into the trunk of the tree. This would be an awesome way to honor a special loved one or in memory of someone who made a difference in your own life.